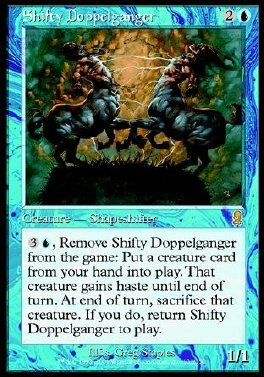 3U, Remove Shifty Doppelganger from the game: Put a creature card from your hand into play. That creature gains haste until end of turn. At end of turn, sacrifice that creature. If you do, return Shifty Doppelganger to play.